We're turning one! 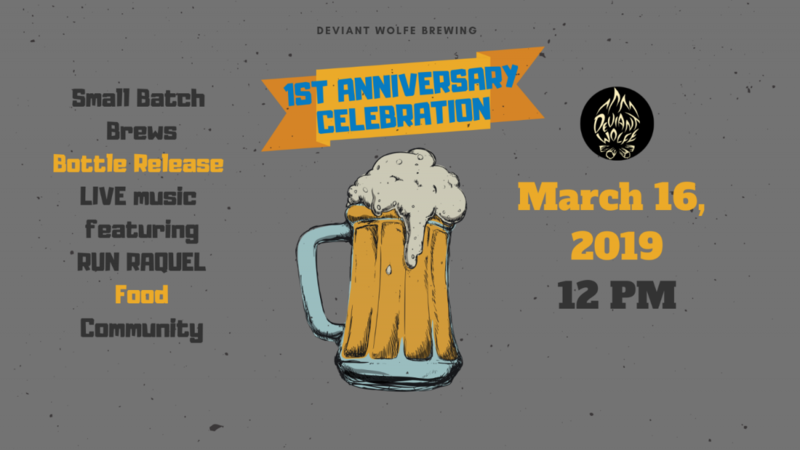 We're celebrating with a barrel aged bottle release, lots of small batch brews, live music by Run Raquel, and food by Gnarly Barley. Join us for timed small batch beer tappings and a barrel aged bottle release of Galactic Shadows, a Russian Imperial Stout aged in barrels that once held Maker's Mark and then cognac.